Due to some unexpected circumstances, anyone interested in registering their child for summer camp will need to call to schedule an appointment with either Aimee or Eric until further notice. We are encouraging anyone planning on attending not to wait until the last minute to register. Space is limited and you don’t want your child to be stuck on the waiting list. 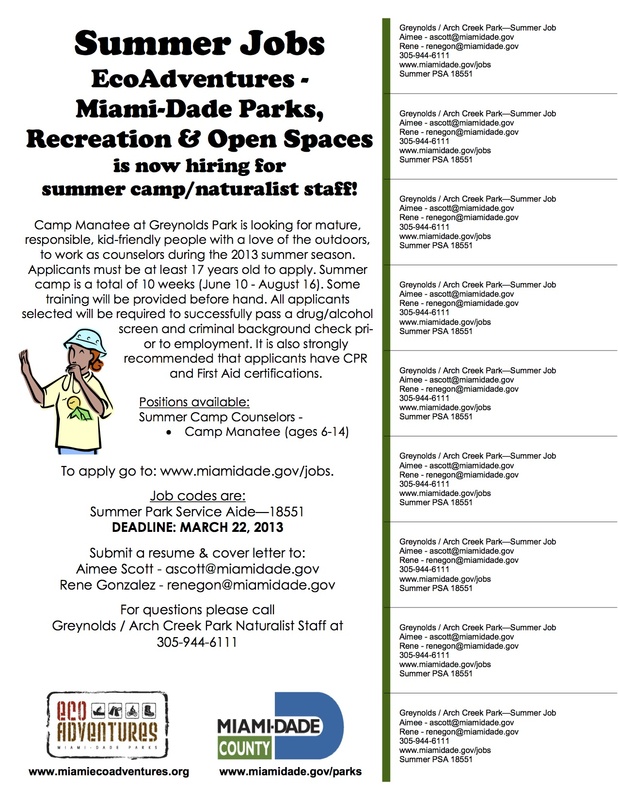 You can find the summer camp flyer with a brief description on the camps being offered this summer at Greynolds Park on the Camp Page. A detailed schedule is still being finalized. 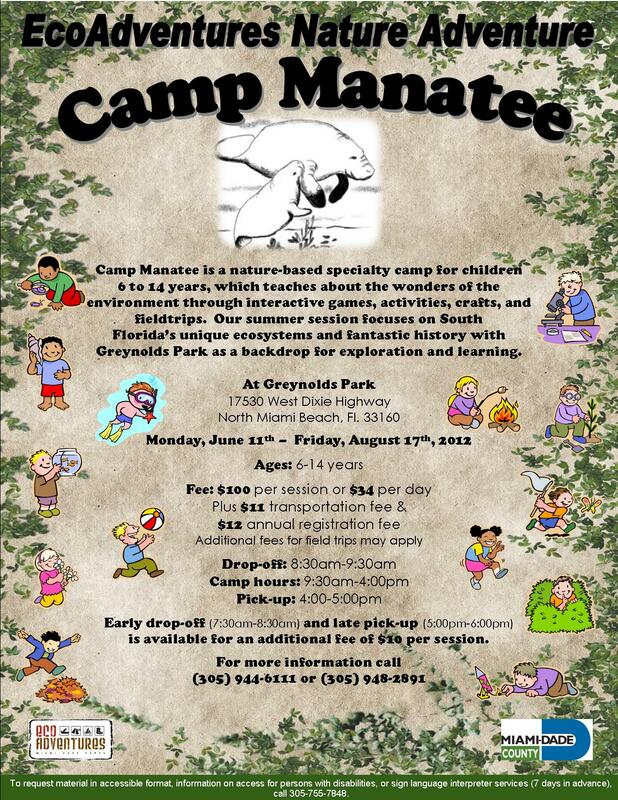 Once the field trips and themes are confirmed the schedule will be posted on the camp page. Quite a few families, have asked about the financial assistance program this year, we are still waiting of information on this year’s program. Just keep checking back with either Eric or Aimee. Also, multiple families have asked about their older children volunteering this summer, the volunteer program is being redesigned this year and when we have more details on that we will also get it out to you.